This is my second full pc build and my first build in 7 years. My first build was a beast at the time but began to show its age on my 120hz ultrawide so I decided it was time for an upgrade. the 970 is carried over from the old build, I plan to upgrade to a 1080ti in the near future but I figured I'll see if prices continue to drop. The 970 is still a fantastic card and gives me a balance of high settings and high framerates in games like Overwatch, Fortnite, and Doom. I spent a lot of time planning this build, reading comments and watching reviews. My criteria for selecting parts was that I want to game on my AW3418DW at 1440p, 21:9, 120hz and I want to do a white/RGB theme. 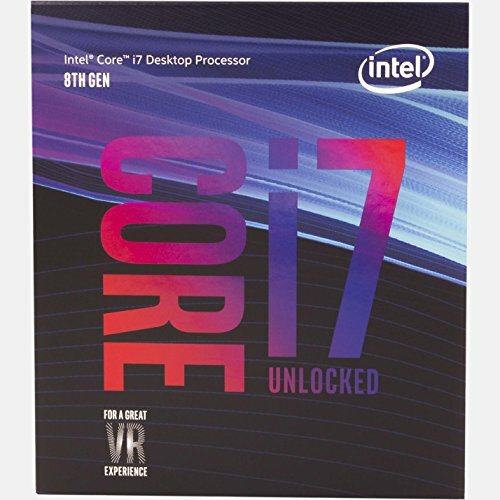 CPU - I went with the 8700k for maximum future-proofing and to ensure I will not be CPU bound when I get a 1080ti. I chose intel over ryzen because my main use will be gaming, music production, and Adobe Suite applications, which all benefit most from single core performance. Cooling - I chose the Deepcool Captain because it is one of the only AIOs with a white block and I watched a positive review from ScienceStudio, probably my favorite/most trusted Tech-tuber on Youtube. Case - The white S340 elite was an obvious choice for a white build. While there are several similar cases on the market, the s340 is unqiue in that the internals of the case are white as well as the outside. PSU - I went with the white PSU (although it is hidden behind the shroud) because it came with white sleeved cables so I didn't have to buy them separately from CableMod. Also if I change cases somewhere down the line I won't have to worry about my PSU clashing. Mobo - I really wanted to find the whitest z370 board I could but for some reason the NZXT n7 seems to be the only one. After reading reviews of the n7 I decided that purchase would sacrifice to much function for aesthetic and instead went for the Z370-E which has nice silver/RGB accents and delivers in all other areas. RAM - I was planning on Corsair Vengeance White RGB but on the day I ordered the parts newegg put the Team Night Hawk RGB on sale which saved me about $40 for a product with almost identical specs and comparable appearance. Storage - I went with the crucial MX500 because I wanted to upgrade to an m.2 format SSD to eliminate cables and avoid the moving parts of the HDD/SSD combo I had in my last build. 500gb is more than enough storage for me and I have room to add another if I need it in the future. Fans - Believe it or not the fans were one of the most researched and pondered aspects of this build. I wanted to avoid RGB Strips in the case for aesthetic reasons, so I knew the fans would be doing the heavy lifting of the lighting. After watching plenty of reviews, it's clear that the corsair LL's are the most stunning fans on the market. Incredibly bright, quiet, powerful, and the opaque material combined with addressable RGB LEDs in the center and outer ring of the fan just make for a beautiful display (if you can get the software to work correctly...) One reservation I had with these was the two extra pieces of hardware I needed to mount into my case and extra cables needed to run these things but they were still manageable. This build went very smoothly, I did a ridiculous amount of research since I have a lot of downtime at workdon'ttellmyboss. By the time the parts arrived I had watched installation videos for every separate part and read the motherboard manual lol. One issue I ran into was installing the M.2 SSD, I didn't install the standoff at first and I was wondering why the drive was bending but after a quick google I realized my error and got it secured. I knew I wanted to do a thorough job with cable management as it's something that I neglected in my last build so I watched several guides on YouTube and allowed myself plenty of time to spend zip tying, routing, and re-ziptying cables in the optimum path. Although it was my first time I think it went really well and I'm pleased with the result. This build powered on perfectly with the first push of the power button which was a great relief and a proud accomplishment. I'm very happy with this build, it's already a powerhouse so I can't imagine how it will perform once I get that 1080ti, maybe I'll come back and update when I do. Visually it is stunning and I love the ability to change the RGBs to match my mood or the game I'm playing, but the ability to turn them off or set them to white and have a clean and professional look is a huge plus. That's some extravagant wood carved furniture there. Nice build! Im going to get a very similar build and I have one question, is your aio exhausting air? I heard it should be intaking and the back 2 fans should be exhausting. So I was wondering if your tempatures are high. You heard right, The AIO is pulling in air from the front and it is being exhausted out of the top/back. When I first installed the fans I had the flow backwards because I was told the logo side of a fan is usually blowing air at you but that is not true for these fans. I see thanks for your response! What's your audio configuration? and how did you position the audio box and headphones under the desk? Velcro stripes? Yeah I have a scarlet 2i2 mounted underneath with scotch strips connected to microphone and desktop speakers. Headphones are on a adhesive hook and plugged directly into the PC. Where can I buy that desk or another one like it I need one for my setup that's going in my room. Congrats on the build, this is simply fun to look at. The visual theme is very deliberate, and its very appealing. Fantastic job, would love to see a powerhouse GPU in this someday to really rocket this build into the limelight. if you remember, shoot me a message when you update the build! This is an awesome looking set-up, I'd love to see it with a little more muscle! What kind of monitors is that? Holy Kingdom Hearts Batman, is this Simple and Clean or what? Fantastic build; I'll be building something similar but EVEN WHITER in the coming weeks. Very nice; great setup. I'm going to be using an MSI B360 Mortar Arctic board (all white), an Asus GTX 1060 Dual (all white shroud), Cryorig C7 cooler (air cooled, I know) and a Phanteks P400 Eclipse; I've used the S340 and I'm not a huge fan. I am using the same RGB ram and similar fans, however, so that was a fun coincidence. Can't wait to see that, bet it's gonna look amazing. I wish they made an arctic board for z370 chipsets. Honestly though, from what I've read, mid/high end air coolers don't perform worse than AIOs so I wouldn't dock you for it. I chose an AIO mostly for aesthetic reasons. Honestly, I've only ever seen two Arctic boards from MSI and they're always for the mid-range mobos. I might have followed suit with that Deepcool AIO, but mine is on a bit of a stricter budget, so I put that extra money into the GPU (there's like a $30 price delta on the white card but it's worth it for aesthetic). hey sorry I am new to building pcs but in the compatibility from the part picker it says there is a compatibility issue which reads "The motherboard M.2 slot #2 shares bandwidth with a SATA 6.0 Gb/s port. When the M.2 slot is populated, one SATA 6.0 Gb/s port is disabled." can someone explain this to me or how you got around this? I have been running into the same error when I try picking parts out. Also my goal is to build a PC that can obviously handle games well, but similarly as you are into music production I am into video and motion graphics. Does this rely heavily on the CPU, GPU, or both? Hey so it's actually pretty simple. it's not really a compatibility issue, I don't have a super deep understanding of it but essentially my using the m.2 port you're sacrificing one of your SATA ports on the motherboard. So if you have an m.2 drive installed, you won't be able to use one of the sata ports for another drive, which shouldn't be a problem unless you have a bunch of drives. As for your other question, all of those activities rely on both CPU and GPU except music production which is purely CPU. okay thank you for the info! yeah I see the problem if I try to add another SSD with this motherboard there would be some sort of error. Do you know what things use a SATA port? lovely! did not know the deepcool captain was so cheap, guess I will be going with one now. What kind of increase in performance did you see? I'm on a i5 4590 with a 970 right now and thinking of doing much the same upgrade where I keep the 970 for a while but upgrade the mb, memory and cpu. Do you do any VR? That would be an interesting benchmark as well as I feel like I'm often cpu limited right now. What kind of monitor arm do you use? Wow looks great. I'd be upgrading from a similar spot. Currently on a 7ish year old machine (2600k) and a 970 gpu. Was thinking of doing the same upgrade then seeing if the 1080TI drops. Did you see any overall gaming improvements even though the GPU wasn't upgraded? Gorgeous build! Nearly identical to what I am aiming for! What extra two pieces of hardware did you need for the Corsair fans? I building an extremely similar build and plan to use to LL120s (top and rear) and am wondering what I need to make the RGB fully functional. nice job! I'm starting to look into replacing my i5-2500k and I would love to be able to get this kind of look. I am terrible at cable management though! Beautiful job on the whole setup and the pc! Just one question, what's that keyboard?